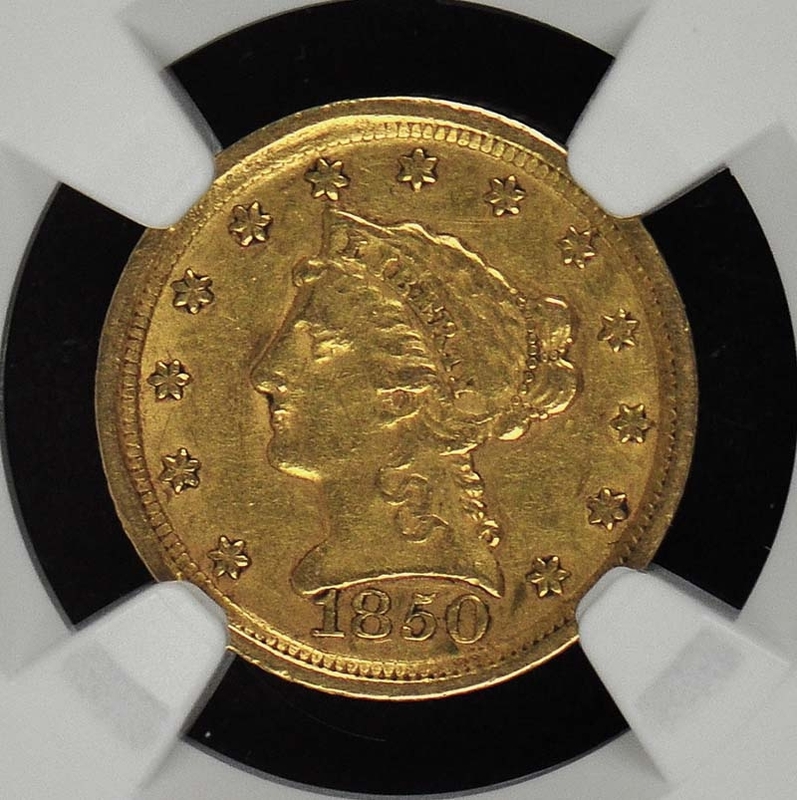 The 1850-D Liberty Head quarter eagle is quite a scarce coin; but examples of this elusive issue have been offered at auction with regularity for the last few years. Most surviving coins are in grades of Extremely Fine to About Uncirculated. Mint State 1850-D quarter eagles are very rare. The three major grading services have graded just over two dozen coins as Mint State. 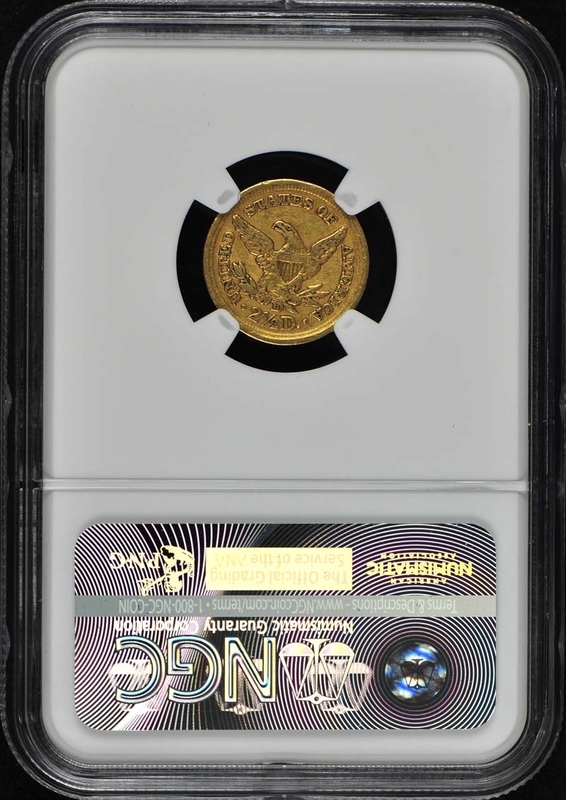 Most of these coins are at the MS-61 and MS-62 level and have been graded only recently. 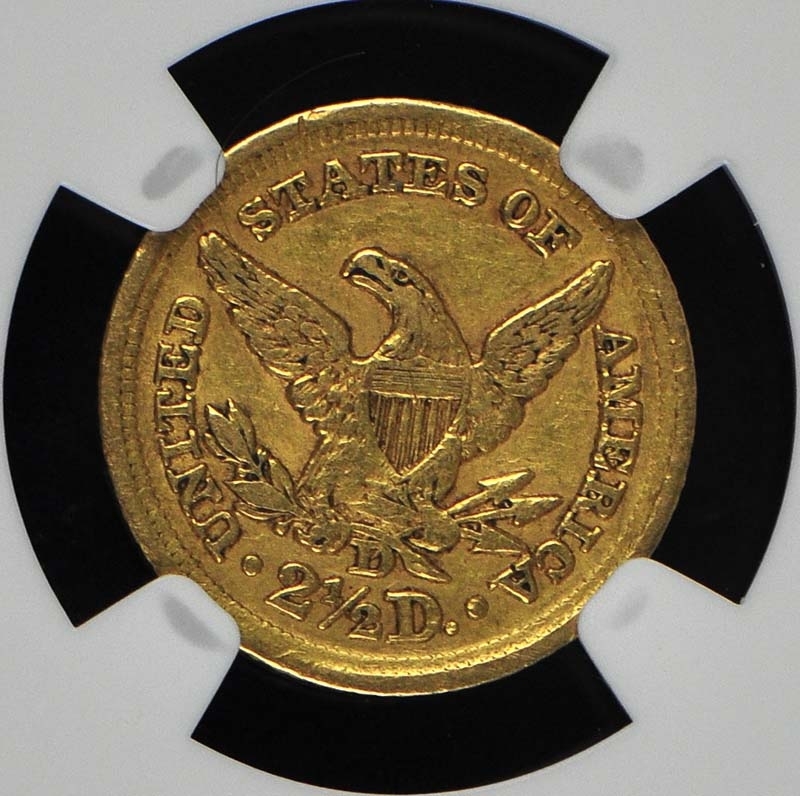 The Harry W. Bass; Jr. example was offered as a PCGS AU-58 coin; but author Jeff Garrettís notes indicate that the piece could grade at the MS-62 level. 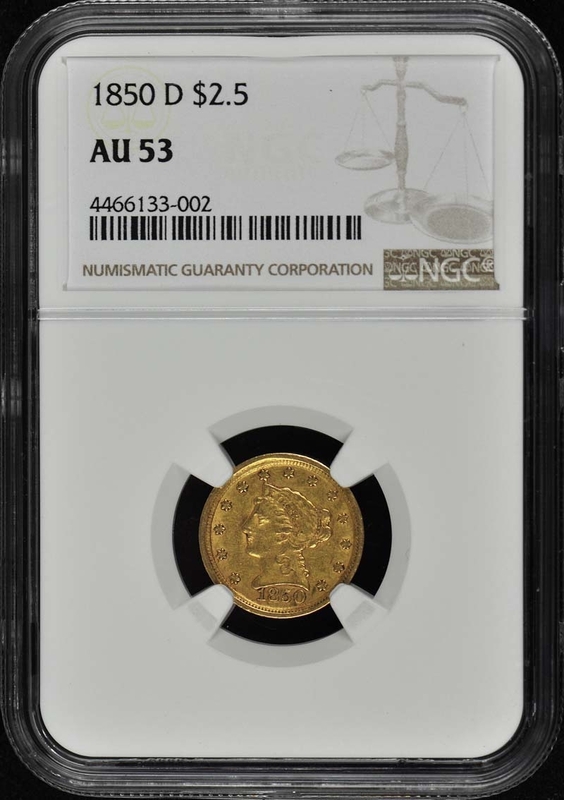 A single example has been graded MS-63 by NGC as finest certified.